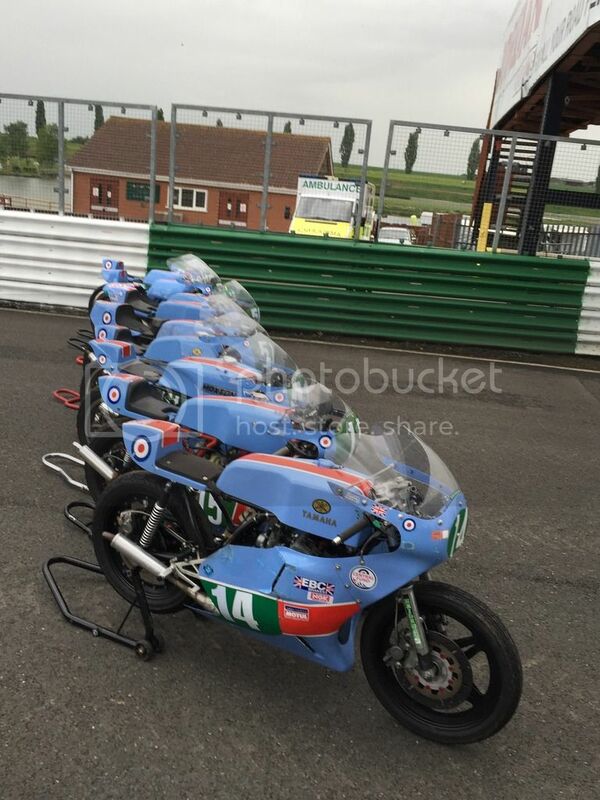 RAF team fields 7 RD250s among 9 starters at CRMC 250 post classic aircooled class at Mallory Park. 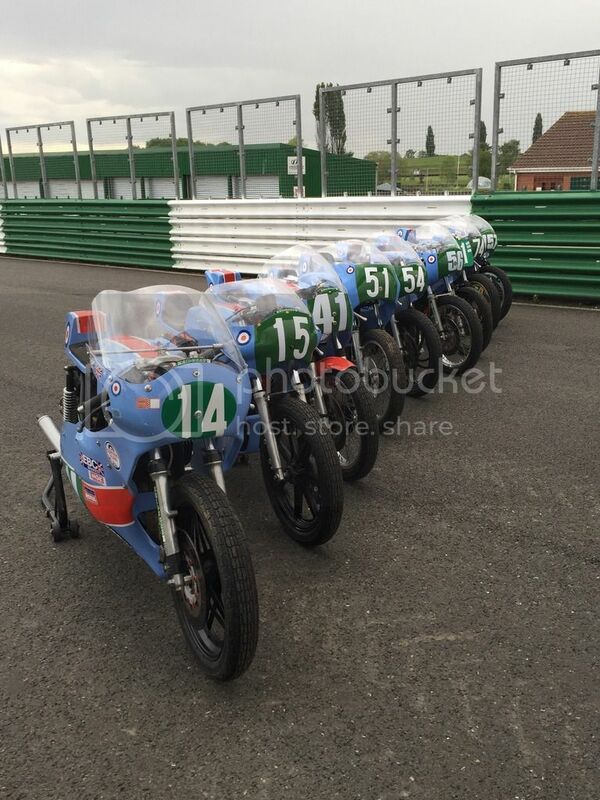 Re: RD racing at Mallory. That is a good effort! Best wishes for the racing. There is an example of almost every models of TZ seat ever made in that pic. Does the RAF own these bikes? Always wondered how that worked. What fairings have you used? They look to go aorund the exhausts well without cutting any material away which is where I've got stuck. 250D lived and then went bang. The bikes are privately owned, prepared and maintained by the riders , the RAF helps a little with transport etc to get to the meetings. A mixture of TZ type fairings mostly. Mine needed a little cutting away to fit correctly. I've marshalled this event for the last few years , always a brill event , shame there's not enough time thou to get a look around .